This is where Christopher Harrison, himself creates. It is where we test and launch new materials and programs. And in the evenings, it is where YOU get to experience AntiGravity®. Mostly, it is where we have FUN! 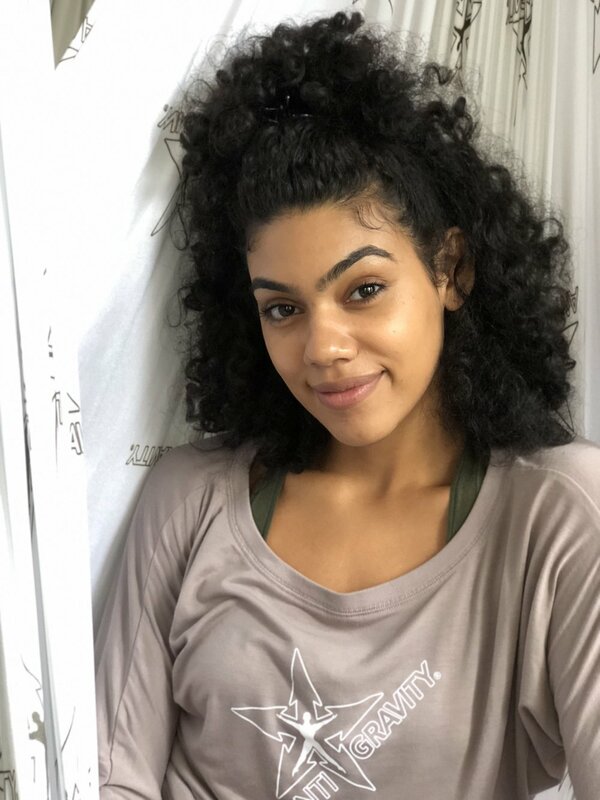 "If you want to fly, you must first be willing to let go"
AntiGravity Fitness offers 8 Programs, all on its branded AntiGravity® Hammock. For information on all of them, please click here. Entertainment and fitness visionary Christopher Harrison is a producer/director/Tony Award winning aerial choreographer and fitness expert; a former world-class gymnastics specialist and Broadway dancer. As a pioneer in the field of aerial and acrobatic arts in America, Christopher's innovations have inspired the current aerial, parkour and acrobatic cultural explosion in America and across the globe. While at the University of Utah Christopher was discovered by Academy Award nominee Herb Ross who cast him in the Kevin Bacon/Sara Jessica Parker dance blockbuster, Footloose. He then moved to New York City and began his professional career on Broadway, Television and Film where he originated pop culture iconic characters such as MTV's Moon Man and the Original Teenage Mutant Ninja Turtle Donatello. While performing, Christopher discovered that acrobatics, which inspired his artistry as a child, had disappeared from contemporary entertainment and the cultural landscape in America. In an effort to fill the gap, Christopher created AntiGravity as a hybrid of: artistic sports, performing arts, circus acrobatics, aerials, contemporary dance and hip hop, to embody a philosophy that nurtures creativity and emphasizes the joy of movement. 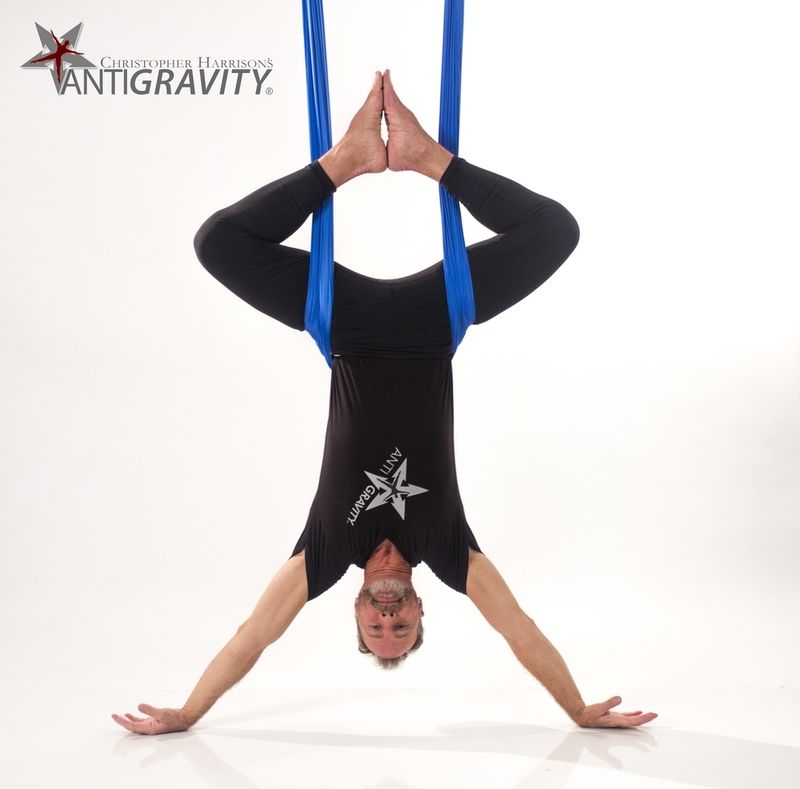 In 1991, AntiGravity emerged to become America's premier aerial acrobatic entertainment and suspension fitness company. Under Christopher's direction and choreographic helm, AntiGravity's critically acclaimed work has flourished on the the world's largest stages including: President Barack Obama's Inauguration, the Olympic Games, Victoria's Secret Fashion Show, the Metropolitan Opera House, Broadway, the Grammy and Academy Awards; with the most popular artists and tastemakers of the day including: Stephen Spielberg, P. Diddy, Richard Branson, Kanye West, 50 Cent, George Lucas, Steven Forbes, Nelly, Britney Spears, Mariah Carey, Gwen Stefani & No Doubt, Heidi Klum, Usher, Rihanna, Marc Jacobs, Karl Lagerfeld, Bill Gates, George Soros and Alexander Wang. As the inventor of Suspension Fitness and the Aerial Yoga genres, Christopher Harrison has authored 8 groundbreaking fitness and wellness techniques, which are practiced in over 50 countries and endorsed by: Madonna, Richard Branson, Gwyneth Paltrow and Four Seasons Hotels. He is a fitness expert on TV talk shows including: Good Morning America, The Today Show, Kelly & Michael, The View, Katie and E! Entertainment. Christopher has been honored for his work as a founding board member and Vice Chairman for the Wendy Hilliard Gymnastics Foundation; dedicated to bringing fitness to youth in under served communities. Christopher was awarded New Yorker of the Week by Time Warner.